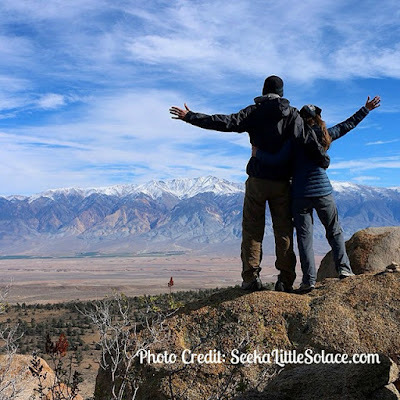 Are you interested in serenity, longevity, and good health? Or, perhaps you are interested in becoming better at golf, skiing, or whatever you most enjoy doing. Maybe you would just like to feel less stressed, and more relaxed, less fatigued, and have a general feeling of well-being. If any of these benefits appeal to you then T'ai Chi Chih can help achieve this and much more. People who do the movements regularly have reported a more balanced weight, lower blood pressure, improved vision, asthma greatly relieved, along with clearer mental focus and insights. The apple season extended into the late Fall this past year and so I had tons of apples from my CSA box and the extra bags of organic apples from the grocery store. Ever forget about your upcoming CSA box and buy the very items at the grocery store that you already bought through your CSA subscription that you have yet to pick up? I have been there countless times! Between the apples (and the pears), this family of 3 wasn't eating them fast enough. As I contemplated what I could do with the excess, I remembered this apple cake my late grandma would bake. Momma mia! So darn good!! I could taste the cake through this vivid memory. I sent my mom a text in the hopes that she would have this recipe and by golly, she did! Thank heavens! She did me a favor. She sent me grandma's apple cake recipe and a simpler one. Both recipes are dairy free. For this post, I will share my rendition of the simpler one and in a future post, I will share the other but I will need a bundt cake pan first. How much I'd give to have the seasoned one from my grandma's house! I ended up making two apple brownie batches. One with and one without walnuts. The second batch was a request from my husband to leave out the walnuts. Personally, I prefer the batch with the walnuts. The funny thing is... the batch with the walnuts got eaten a lot faster than the second batch. Hmmm... which would you say tasted better? Option A?! Ding Ding... Yep!! Preparation: Preheat oven to 325°. This recipe is done by hand. See, yet another reason it is simpler. Notes: I used coconut oil. If your coconut oil is solid, heat it until it liquefies then cool slightly before using. You can easily cut back the sugar amount to 1 cup especially if you're using sweeter apples. Here's a great guide on apples and their uses by Epicurious. Always use organic ingredients when possible. 1. Grease and flour a cake pan. 2. In a medium bowl, beat the eggs and oil until foamy. Stir in the apples, sugar, and vanilla extract. 3. In a large bowl, combine flour, baking soda, salt, and cinnamon and stir apple mixture into flour mixture. 4. If you want nuts, add 1 cup of chopped walnuts or pecans. 5. Spread thick batter into prepared cake pan. 6. Bake for 40 minutes. You may need up to ten more minutes in the oven. The top should spring back when touched lightly. 7. Cool for ten minutes before cutting into squares. 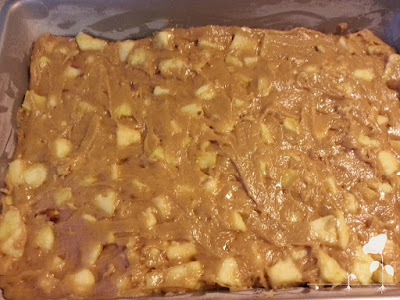 You may move the apple brownie squares to an airtight container for up to 3 days or you can leave them in the pan (uncut) and cover with foil. 8. The apple brownie squares are moist and full of flavor! You can pair it with ice cream if you'd like but they're darn good on their own! Nutrition Education and Counseling Services. Download my free eGuide when you subscribe to my newsletter.